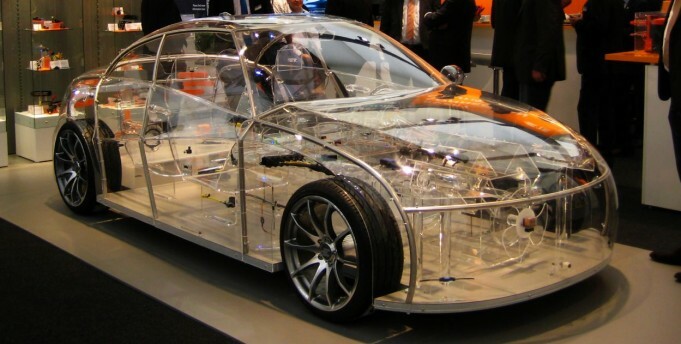 The company ZF Friedrichshafen made the presentation of its products through a transparent car. The Consumer Electronics Show is the world’s largest consumer electronics trade fair, which every year is held in January in Las Vegas. In recent years, more and more space in the exhibition halls has been used to occupy exhibitions for automotive companies. 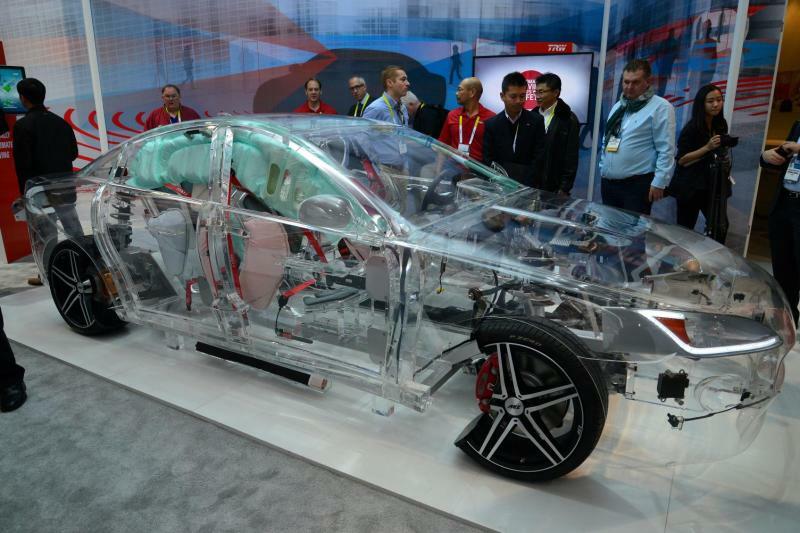 So does that mean we’re going to see transparent cars on the roads? Apparently, manufacturers are targeting Asia with these, and maybe Pakistan as well. The Tubik’s predecessor, fondly recalled as “The Tub”, played a major part in its design, as the Tubik is a passenger van, and it’s designed as the perfect SUV/van for shuttling businessmen back and forth between hotels, business meetings, and corporate lunches. Vehicle designers are beginning to understand that things have changed since the introduction of personal and passenger vehicles. Many people are beginning to prefer carpooling, or sharing a shuttle rather than having to drive their own vehicle back and forth to the airport, work, or a special event. It is becoming easier to share rides, especially with apps like Uber. This is why Citroen has decided to continue in the market with its latest addition, the Tubik. What makes the Tubik special, however, is its futuristic design. It has sleek, striking lines, with a panoramic passenger window and a side door that curves over the top, providing ample space to move in and out of the vehicle to any of the nine possible passengers. The driver also has a specially designed door, which closely resembles a gull wing door, which has to be one of my favorite features from any sports car, now residing on a shuttle van that looks like it could be owned by the Jetsons. The outside isn’t the only part of the Tubik that appeals to those who enjoy a bit of futuristic design. 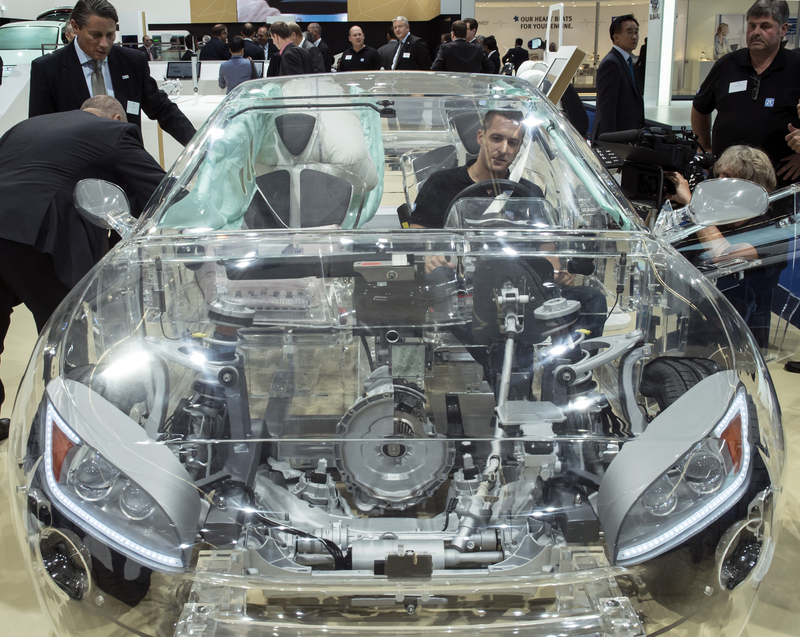 The inside is maybe even more advanced, with a driver’s “cyclotron”, Citroen’s vision of a one-stop, one-spot, circular apparatus that combines everything the driver will need to direct the vehicle. The Tubik also sports fingerprint recognition, as well as cameras placed in the front and back, allowing for a wider range of vision than most drivers have ever had. Seats can be laid down, providing those with wanderlust a perfect vehicle in which to hit the open road, though from the looks of it you’d be going from glamorous party to photo opp instead of stopping at campsites and tiny museums. Whatever it will be used for, the Tubik is prepared for anything. If you’re curious about Citroen’s new model, you may want to head over to their official website and take a glance through all the Tubik photos. You’ll be mesmerized by the shifting lines, the bright visuals, and the decadent luxury that oozes from this vehicle. Trust me, if you get a chance to ride this shuttle, jump in, you’ll be in for the ride of your life. How about these hybrid vehicles, the ones created by people who dared to be curious (and sometimes foolhardy). People who traded parts of various vehicles to create their own unique vehicle, one that would stand out from the crowd and show what recreational vehicles are capable of – like the creator of the go-kart with a motorcycle engine. If you’ve ever driven a go-kart, you know how wildly they careen around curves at the lowest of speeds. They’re simply a higher form of bumper cars, with a little more freedom. This does not deter anyone from driving them, of course, but it is a bit of a downer to buy one for yourself and then realize how slow it is once you’ve got it home. Enter the brilliant mind that paired a go-kart with a motorcycle engine. Some background: the Suzuki Hayabusa motorcycle has been produced by Suzuki since the late 90’s as a sports bike. It is distinct in that it holds the title for fastest production motorcycle, topping out at around 186mph. There are also cars that have had this engine installed, but for the purpose of this post, we will be sticking with the smaller vehicles that have utilized this engine. This engine was placed inside a go-kart that weighed next to nothing, so the Hayabusa engine was given almost unlimited power – very few limitations on what it can do when its cage is nearly light as a feather. It can pull some incredible tricks. You can practice drifting, off-roading, or any number of party tricks on the vehicle, like a high speed pull. Once you get to drive something like this, however, it can be a slippery slope to take time away from it. You’ll want to plan trips based on where you want to drive the go-kart, finding ways to build a course with friends, and to show it off at rallies, races, and other events. You may even find yourself with a group of new friends, who will introduce you to the world of recreational vehicles. Hopefully you’ll have just as much fun as we had when we were growing up.